One of my favourite things to do is to sit in my Minnie Mouse Pj’s and browse the interweb looking for pretty things to covet. The other day I was doing just that when I came across a fabulous online boutique called Loud Culture. 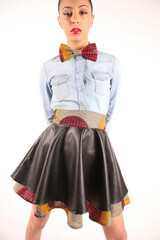 Co-owned by Abi Fashesin and Ashley-Rae Tapping, Loud (which stands for Live Out Ur Dreams – cute huh?) draws inspiration from gorgeous vibrant African prints (both ladies are of African descent) and mixes them with a modern and contemporary edge. The result? Well, everything I’ve seen from the current collection, I love. 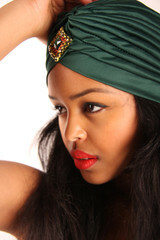 Dresses, skirts, tube-tops and turbans, all in beautiful colours and all very reasonably priced. Their favourite designers include Pugh and Westwood and the eye-catching designs Loud have produced tap into the flamboyant aesthetic that both labels are known and loved for. Oh well, there’s always the UK summer festival season, and the new SS12 collection to wait for, yay!